Bestia de presa. Siguiendo al exitosísimo V 15 Nitro, Acer presenta su siguiente plataforma de juego. En vez de una GPU de gama media-alta, el Predator 15 tiene un modelo realmente premium. ¿Puede el GTX 980M sobresalir frente a la competencia de 15"? 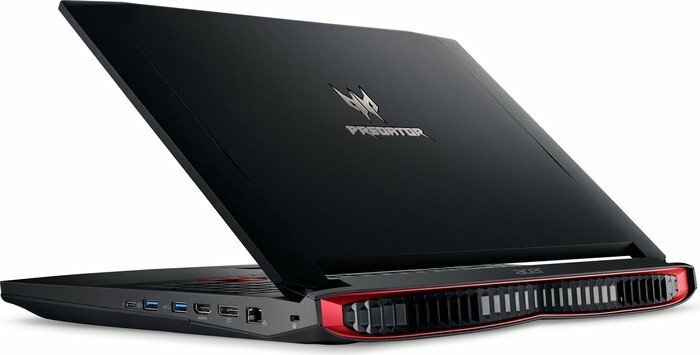 If you're after a 15-inch laptop with Nvidia 970M or 980M graphics, the Predator 15 is a solid performer and it's more affordable than most of the alternatives. The bundle also includes good screen options, an excellent keyboard and a large battery, among others. At the same time, this laptop is thick and heavy for a 15-incher, so if you plan to carry your notebook around often, you'll probably want to look somewhere else. We’re just as delighted with the results we got from Predator 15 as we were after testing the 17-inch version. Actually, even more – the smaller version has the same battery capacity (88 Wh) which managed to give us almost 8 hours of web surfing on one charge and that’s amazing, especially given the gaming nature of the laptop. Speaking of that, you won’t need to look twice to see that it’s made for gaming – it has aggressive and hard angles and elements, and we have to admit that it was a genuine case of love at first sight. The price you pay for a notebook with this level of performance is substantial, as it'll put equal amounts of pain into your back and your wallet. It's huge, heavy, and expensive. This level of girth comes with the territory though if you want maximum performance, and if we were shopping for a rarely-moved laptop to take over gaming duties we'd certainly put the Predator on our shopping list. It's an extremely well-made and thoughtfully-designed notebook with superb performance and features. The two-year warranty is the main drawback in our opinion, as something this nice should be covered for at least a few years. The Acer Predator 15 is an incredibly powerful gaming laptop that aces nearly any current game you could throw at it. The highlight here is of course the GeForce GTX 980M, which should give you enough headroom for gaming for the new couple of years. You can also easily upgrade the storage and RAM if needed. We like Acer's primary cooling system too, which works well. FrostCore on the other hand feels a bit gimmicky. Overall, the laptop is well-built, and has a good display, very good audio and a well-rounded set of ports. In fact, when compared to something like the MSI GT72 6QD Dominator G, which is in the same ballpark, the Acer gives you better value as you get a more powerful configuration for a bit more money. Among its peers, Acer's latest isn't the most powerful gaming laptop. But, the notebook makes up for that by remaining cool under pressure and sporting phenomenal battery life. Programmable macros, a comfortable and punchy keyboard, one-button trackpad disabling and great speakers further add to the value of the Predator 15. This gaming laptop hits practically every note a gamer could desire. 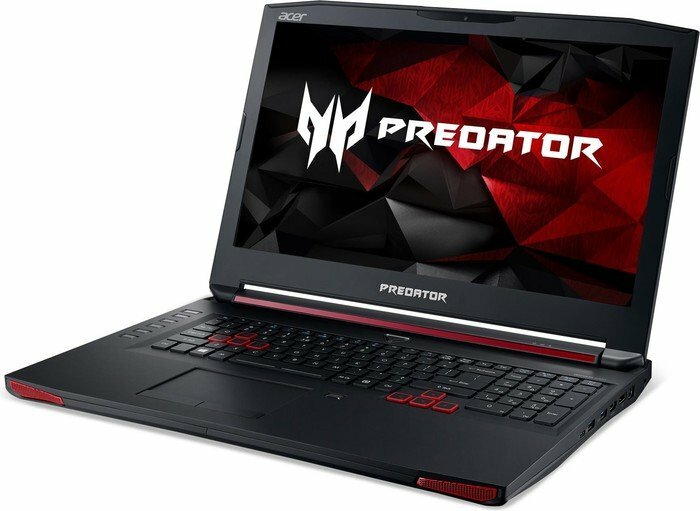 80% Test : Acer Predator 15, ce nouveau venu dans le gaming peut-il rafler la mise ? 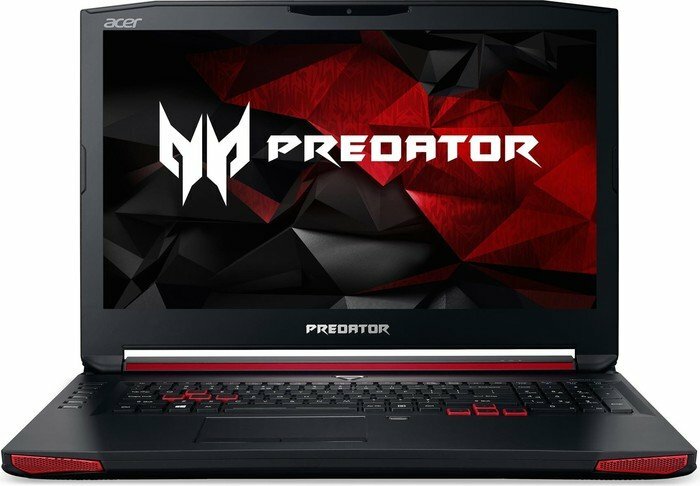 The Acer Predator 15 (G9-591-74KN) is an impressive machine, boasting a fast 6th-generation Intel Core processor, a top-notch graphics card, enough ports for all your needs (including USB-C with Thunderbolt 3), and best-in-class battery life. It has a unique cooling feature and responsive keyboard, along with useful, programmable hotkeys. It's virtually free of bloatware, and has more than enough storage for dozens of large games. But all that comes at a high price. The MSI GT72 Dominator Pro G-1438, which has a larger screen, but lighter weight, supports Nvidia G-Sync, and has roughly the same graphics capabilities as the Predator 15, all for $300 less, remains our top pick. The Predator 15 came in at the top of most of our benchmarks, as you’d expect for a notebook ringing up at a whopping $2,499. However, keep in mind that Acer’s next configuration down, which shaves the SSD capacity to 256GB but still features the same GPU, CPU, and hard drive, costs just $1,999 and should have nearly identical performance. As gaming laptops typically share the same components and offer similar performance, picking one largely depends on your preference for screen size, design, and extra features, such as an optical drive, overclocking software or a fancy light-up keyboard. There are a couple of reasons why the excellent Acer Predator 15 stands out from the crowd. 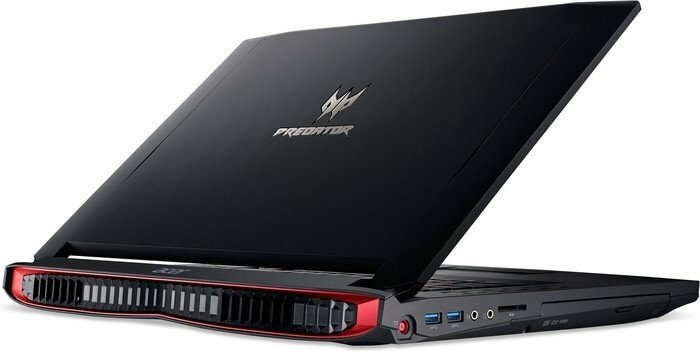 86% Oyunculara özel Acer Predator 15 testte! Muy fresco. Mientras el diseño del Predator 15 puede resultar controvertido, el sistema de refrigeración está más allá de toda duda. Después de que el modelo con GTX 980M mostrara sus cualidades al final de 2015, hemos probado la actualización con GeForce GTX 970M. We had a lot to say about the new Predator 15 and most of it was good words and excellent results. The product is excellent indeed and if some years ago nobody thought that Acer could come up with a top-notch gaming monster, now everyone respects their presence on this market. Just like its bigger brother, the Predator 15 offers outstanding performance, up to 64GB RAM and ultra fast PCIe storage. All of the internals are well protected by a solid construction with fiber glass reinforcement. Pretty much everything we didn’t mention in the last few paragraphs is a positive on the Predator 15. Our review unit is $1,699 as equipped, the base model in the United States as of this writing. That’s the upper limit of what we’d spend for a GTX 1060 notebook, but in light of our findings, we think the Predator 15 is worth the extra consideration. And to make the decision even easier, the model we reviewed was discounted to $1,499 in Acer’s store when we’re typing this. If you have the cash and don't need something even more powerful, the Predator 15 is the pinnacle of 15.6-inch mainstream gaming. 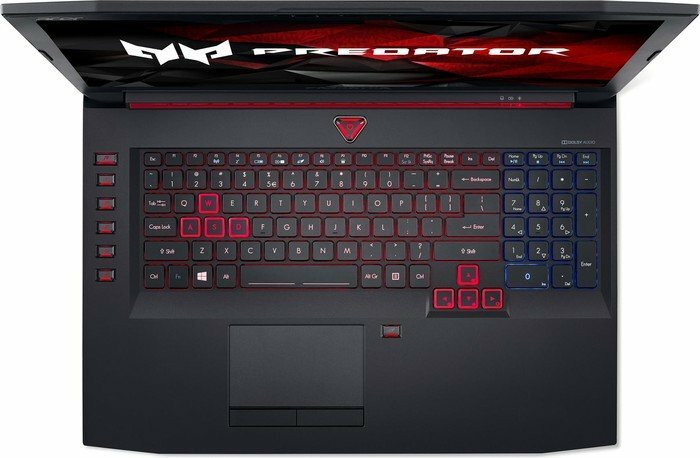 In the final tally the Predator 15 in this particular configuration is pretty affordable for a GTX 1060 gaming laptop at $1,699. Aside from the SATA-based SSD the only notable shortcut is the retreaded chassis from the previous generation. Say what you will, but these compromises have allowed Acer to offer the most affordable version of this particular configuration that we’ve seen so far—$400 less expensive than the Alienware 13 and the MSI Stealth, though significantly larger than both of those machines. The Predator 15 may be chunky, but it offers first-rate performance, runs cool and quiet for the most part, and looks pretty darn sweet. It offers similar performance and attention to detail as much more expensive laptops, making it an overall strong value. The Acer Predator 15 gaming laptop delivers strong performance with a vivid display, comfortable keyboard and solid battery life. 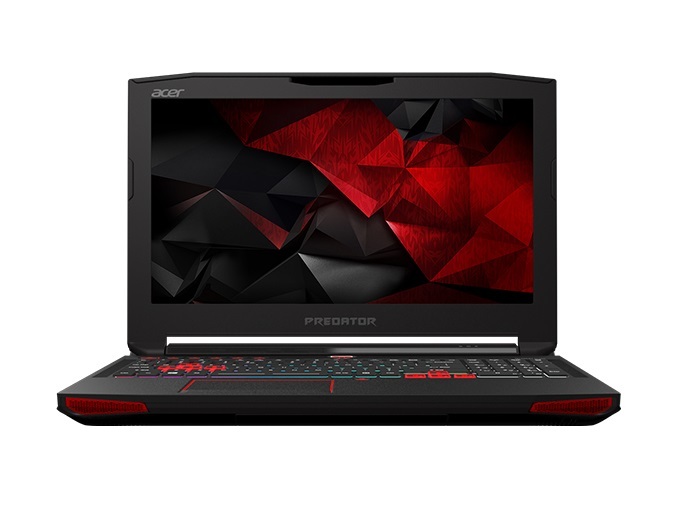 El ACER Predator 15 G9-593 es un portátil diseñado para que cualquier jugador pueda disfrutar al máximo de cualquier título actual y venidero, ofreciendo una potencia más que suficiente para disfrutar de cualquier título en ultra a 1080p o incluso disfrutar de definición 4K haciendo uso de un monitor externo. Además cuenta de funciones que le dan valor añadido como el teclado retroiluminado o el software de ACER que permite su personalización. 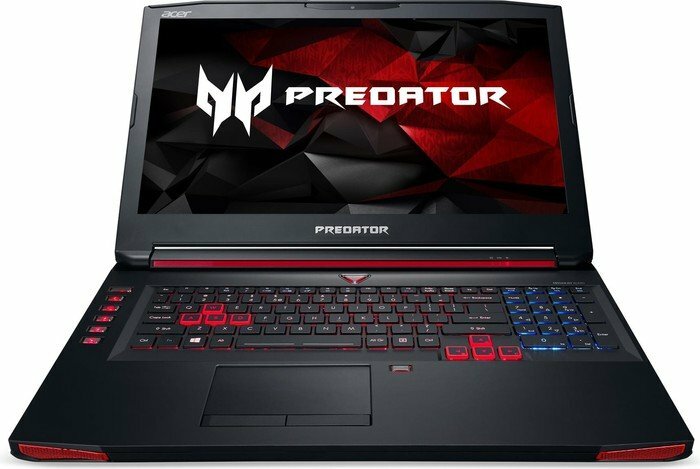 En resumidas cuentas, este Acer Predator 15 G9-591-72L8 con un precio de 1099,90 euros será una gran opción para usuarios que estén buscando un portátil con la mejor relación entre potencia gráfica y precio por poco menos de 1200 euros, que además tiene buenos periféricos y una gran autonomía, siendo su poca movilidad el principal defecto. Veloz tarjeta de vídeo de gama alta basada en el chip Maxwell GM204 de la serie GeForce GTX 900M. 83.64%: Esta evaluación es para ser considerada como promedio, porque la cantidad de portátiles con mejores evaluaciones es casi la misma que la cantidad con evaluaciones peores.>> Más información puede ser encontrada en nuestra Guia de compra de portátiles.